Home Cycling Enric Mas thinks about the future: "I want to win the Tour"
Enric Mas thinks about the future: "I want to win the Tour"
The Spanish will debut at the Grande Boucle this season and will do so with maximum aspirations. "I feel ready," he said at his team's presentation. Enric Mas fulfilled last week 24 years, an early age in the life of a cyclist that does not prevent the Balearic have very clear ideas. 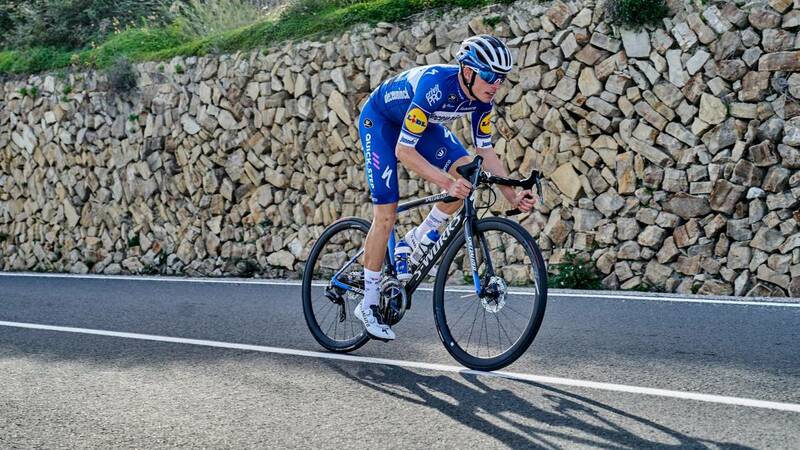 And is that the Deceuninck-QuickStep corridor said a few days ago in Calpe during the presentation of his team for the season of 2019, which the next edition of the Tour de France will not precisely walk. Apart from being a learning lesson, But will debut in the Grande Boucle with a aspiraciones de futuro very clear: the victory in the general. Así explained it the runner of Artá during the presentation of his team: "There are people who tell me that I miss a trampoline I do not know if I'm ready for the Tour, but I feel prepared, I'm imagining a first week with a lot of tension, many crashes. days, things should be more relaxed Personally, I want to win it. I'm going there to know the race, I've never been there, so let's see what happens " . One of the big questions for Mas will be to see how he faces a three-week race he does not know without having great gregarious people around him. The QuickStep is one of the most successful teams in recent years in terms of number of victories , but mainly made for the spring classics and not for the three-week races. Therefore, Mas had the opportunity to leave this summer to other teams, but preferred to finish the year that remains of his current contract: "I had a contract with them." Other offers arrived, but if you have a contract ... They gave me my chance and I want to comply with that If I had gone to Sky or Movistar I would not have had any status or anything. There are a lot of guys who are higher up in the hierarchical order, in this team I have already been able to do two big laps and finish in The podium in one of them ". As regards how sheltered Mas may be by his companions in the high mountain stages, Patrick Lefevere (director of QuickStep) did not consider this possibility as a problem since he sees Spanish trained for to give the maximum without support: "We do not have to help him this year, Sky and Movistar will help him.They control the race, we stay on the wheel.If the legs are there to beat them, You will conquer them. " Yes, Lefevere did not hide his intentions to improve the team to help Mas if the Spanish decided to extend his contract: "If he stays with me until 2021, I will try to get the runners he deserves" .